Doosan Industrial Vehicle UK's G2 diesel forklift engine has been shortlisted in two categories for the FLTA's Annual Awards for Excellence 2014. In contention for both the 'innovation' and 'environment' awards, the G2 engine takes a radical new approach to reducing particulates while delivering robust high performance. The G2, fitted to 2.0t to 3.5t forklift models, uses a new combustion system to comply with the latest emissions legislation while removing the need for a diesel particulate filter (DPF). The resulting clean burn engine not only meets US Tier 4-final and EU Stage IIIB emissions requirements – but also powers the EU's first Euro IV compliant trucks. Tim Waples, Director of Doosan Industrial Vehicle UK, said: "We are extremely proud of the G2 engine and all the applied research and development work that went into creating it so we're thrilled to be shortlisted for these two awards. "Instead of making marginal improvements to diesel particulate filters – which are inherently problematic in a busy working environment – our design engineers wanted to do away with them completely. Throwing out conventional wisdom, they radically redesigned the engine so that particulates were minimised to such an extent that the need for a filter is completely removed. "The design of the G2 engine is great for the environment but it also reduces costs for end users by minimising maintenance and removing the hassle – and operation downtime – associated with filter clogging." 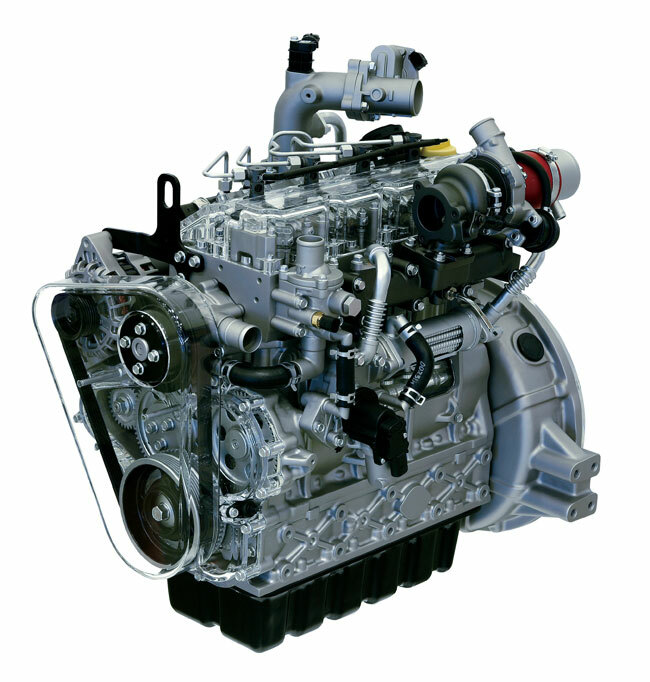 The G2 engine boasts multiple innovations, including an advanced fuel injection system which improves fuel efficiency by 33% while reducing vibration by 33% and noise levels by 10%. The G2 engines also have a low carbon footprint – being built at an environmentally-friendly, low emissions manufacturing plant.